Saturday, 13 Apr at 7:00 p.m. NOise Circus is a contemporary circus/musical improvised performance that translates the attributes and philosophy of noise music into stage and circus language by researching human experience in a space of discarded objects a.k.a. trash. Creators of the performance think we can translate the noise methodology to circus to liberate this genre through experiment and find new possible ways of its development. Project plays with capitalist reality and with fictional post-apocalyptic future that can exist at the same time on stage. 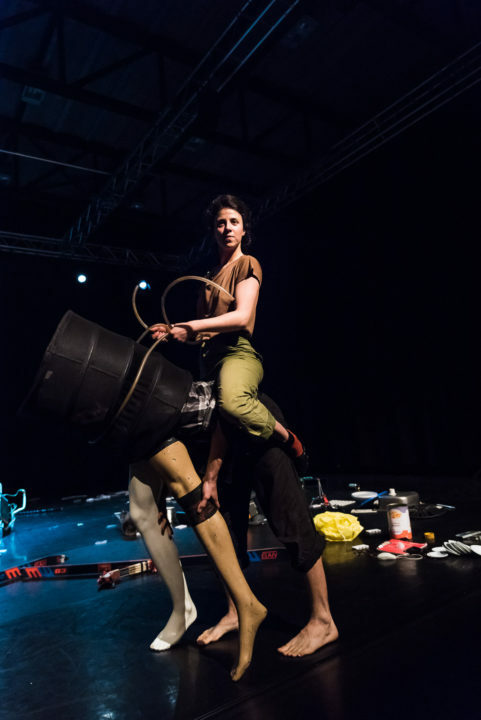 We give new meaning to discarded objects through play and contemporary circus and performative practices. “What is circus and what is its role in the contemporary society” are the questions that we are most interested in indirectly. The aesthetic of performance is raw, experimental and filled with mistakes. Intra-personal dynamic, space where the used objects were salvaged from and the wider self-organised circus community in Slovenia is of key importance for this project. 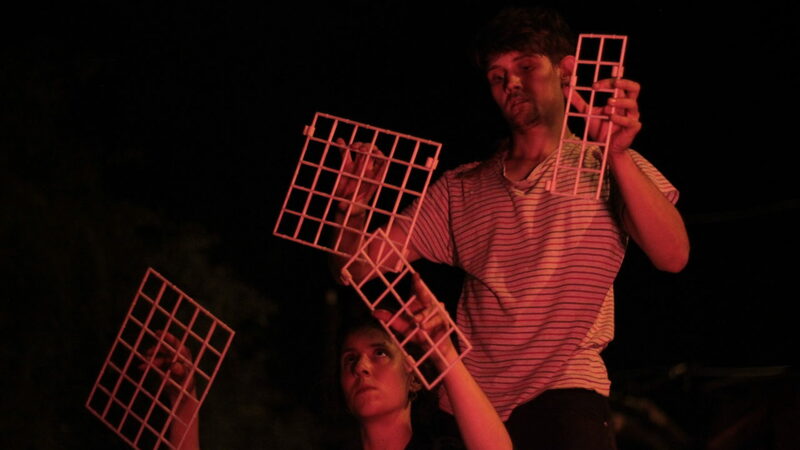 Mismo Nismo is a new alt-art circus group from Ljubljana, Slovenia. We are pessimists that want to embrace the uncertainty through the experiences of (precarious) present. Our aesthetic is raw, experimental and filled with mistakes. Form is an experiment and idea is all. Otherwise, we are Oton, Eva and Tjaž. We met in Ljubljana where we were attracted to the nature of circus and autonomous alternative zone from three different high schools. We became friends and started to practice together and teach circus skills in the framework of Cirkokrog Association. Together with a team of circus performers and supporters of circus community we revived circus space Cirkusarna NaokRog at former bike factory Rog. 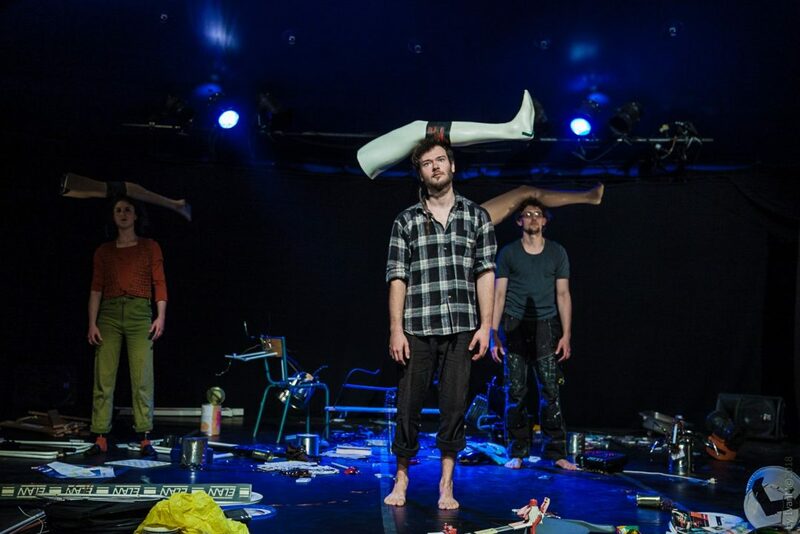 Selected in CircusNext 2018–2019, European program coordinated by Jeunes Talents Cirque Europe and supported by European Union. Trash items compose the set and props but performance is far from what we would expect under the tag “circus”. 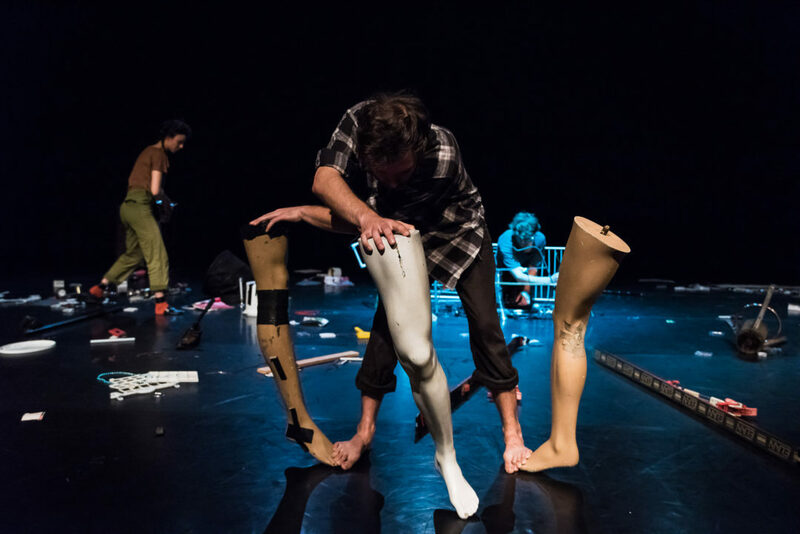 It takes place at the crossover of contemporary dance, circus, noise, theatre and improvisation. And recycling. […] If skilled and disciplined cheating of gravitation is one of the traditional circus virtue, this performance ominously avoided presentation of honed skill. […] perverse beauty of this performance lies in the fact it was not pleasant and therefore worth even more. If observing of acrobats and jugglers includes hope that someone will mess up, a kind of perverse pleasure, such affect is obligatory in this performance. Artists walked around barefoot, mostly with blindfolded eyes, they were dancing and wandering over sharp trash, this moment gave an Abramović-like suspense to the show. Where did ya get all that, you stupid motherfuckers? NOise Circus is a contemporary circus/musical improvised performance that translates the attributes and philosophy of noise music into stage and circus language by researching human experience in a space of discarded objects a.k.a. trash.